The new Kluson Supreme series STAGGERED tuners have an 18:1 gear ratio in the traditional stamped steel housing. 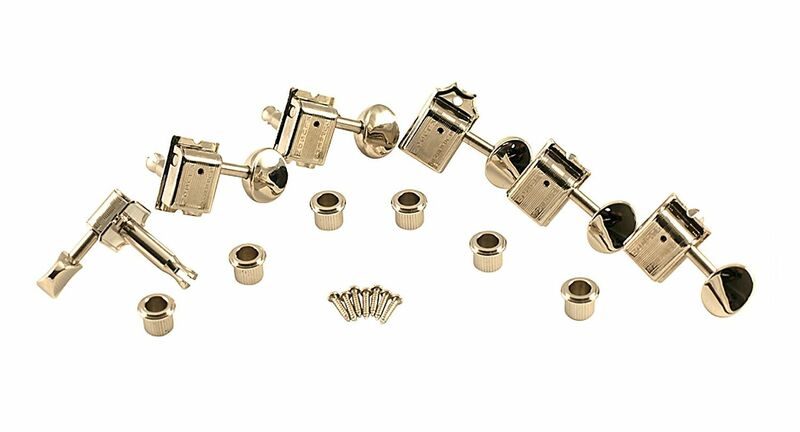 This particular set is designed for instruments using a 6 in line (not plate mounted) tuner set and for the first time from Kluson, a supreme gear ratio for a true upgrade to original tuners. The housing bears the series name SUPREME in place of the original DELUXE moniker but this is the only hint to what lies hidden under the dust cover. Using all vintage specs these tuners will drop right into your instrument using the vintage 6 in line individual tuners with no modifications other than getting used to real smooth and reliable performance that outshines the rest in it's class. 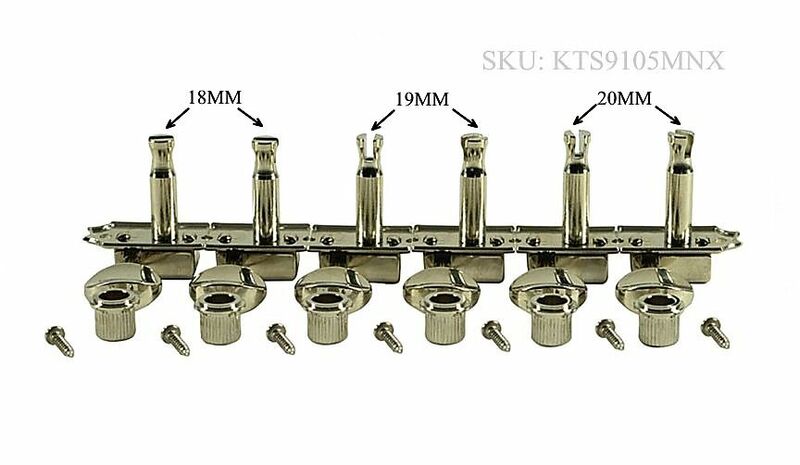 This is a complete set and comes with 6 Staggered tuners with metal oval buttons and all hardware needed for installation.